Long before the days of 'selfies' and phones with inbuilt cameras, it was quite a privilege to have your portrait painted. Some portrait paintings have stuck it out through history and stood the test of time, still being instantly recognizable today. Some of these models had to sit for hours while their likenesses were created using paint, a process which often took months - even years. The next time you take a self-portrait, remember these paintings and be thankful that you don't have to sit still for as long as they did! Today we'll cover some of the most famous portraits of all time - you've probably heard of most of them, but do you know the often intriguing circumstances surrounding them? This list of the most controversial art pieces of all time, or delve into the centuries-old world of sculpture and see if you recognize some of these famous statues. 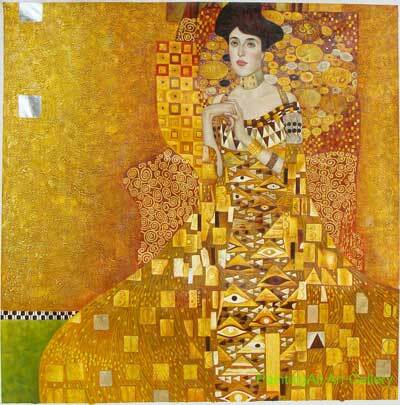 Gustav Klimt painted two pictures of his good friend Adele Bloch-Bauer; this is the first and the most famous. It was finished over 100 years ago in 1907, but during the time of the war the Nazis came and whisked it away. What would Hitler have thought if he'd known that this very same painting would become so famous and popular today? You might not know this painting by name, but you'll probably recognize it by sight! Far from being an average painting of a bored-looking man, this painting actually has an interesting background story to it. 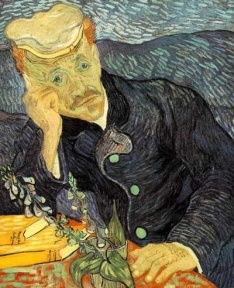 Dr Gachet was a medical doctor who cared for van Gogh during the last few weeks of his life. He also treated several other influential Impressionist painters, as well - as a result, his face pops up a number of times in famous works of art! This painting - of which there are two versions - is by far the most well known.